Business owners need to protect their loved ones and commercial assets with life insurance. 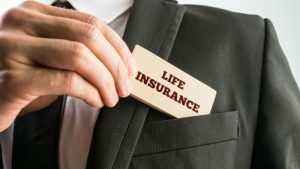 While most people understand the importance of having life insurance to provide for their loved ones, as a business owner, life insurance can also take care of your company. Here are some of the life insurance options that small business owners should consider securing for their company’s sake. By securing a personal life insurance policy, you can ensure your family remains financially stable even when they lose the income you were generating from your business. Additionally, if you took out loans for your business under your family’s name, the death benefit from your life insurance will help your family pay off these loans and any other business debts you may have incurred as an owner. If you have a business partner, consider getting a buy-sell agreement. With a buy-sell agreement, your business partner owns a life insurance policy on you, and you have one on them. If you were to die, the benefit that your partner would receive from your life insurance policy would allow them to buy your share of the business. This ensures that your company remains in good hands and also smooths over the transitional period following your death. Without a buy-sell agreement in place, your business partner may not be able to maintain ownership of the company, causing your business to fail or get sold for a price far below its actual value. These are some of the reasons why small business owners need to secure life insurance. Are you looking to secure the right life insurance to care for your loved ones and your business? If so, contact the experts at VGW Walker Insurance in Texas. Our dedicated team is ready to get you the coverage that you need today.